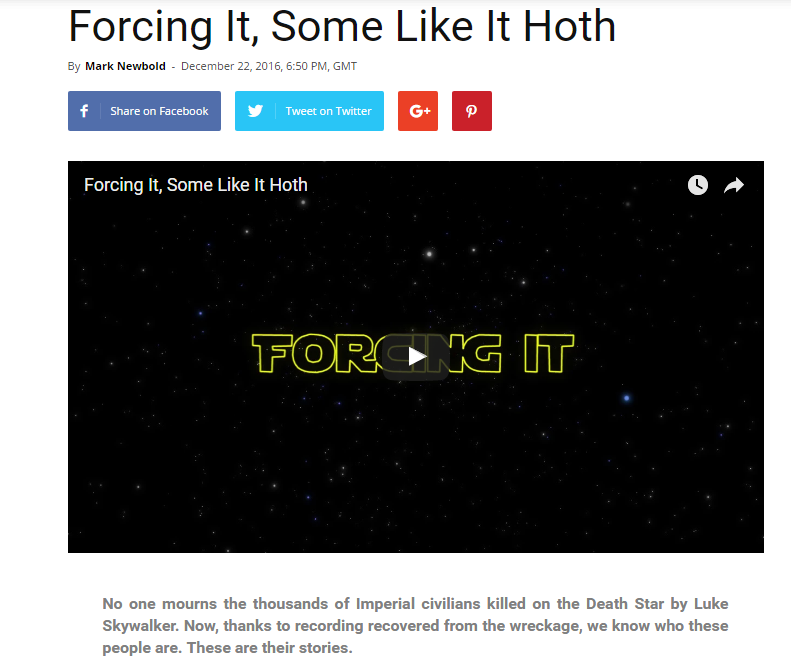 Thank you, Jedi News for featuring Forcing It! Read the whole article here! Jedi News featured my new web series Forcing It. Read more here!